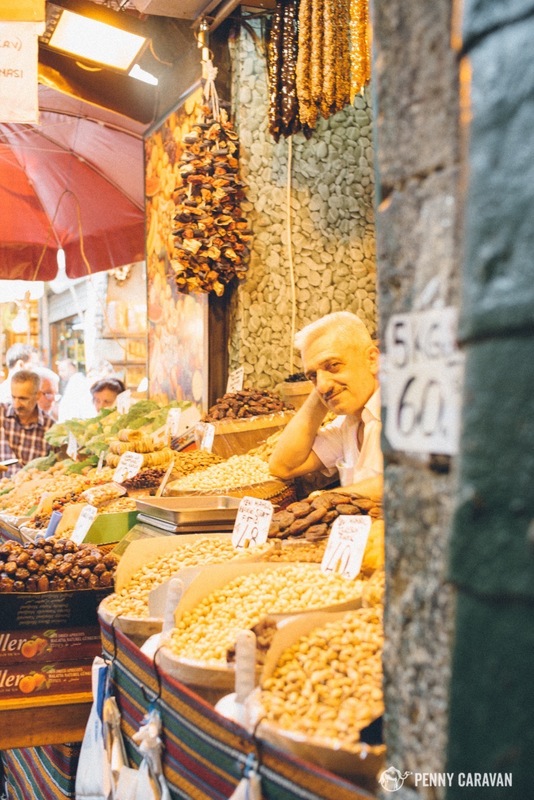 From centuries-old bazaars to glitzy strip malls, shopping in Istanbul runs the gamut. 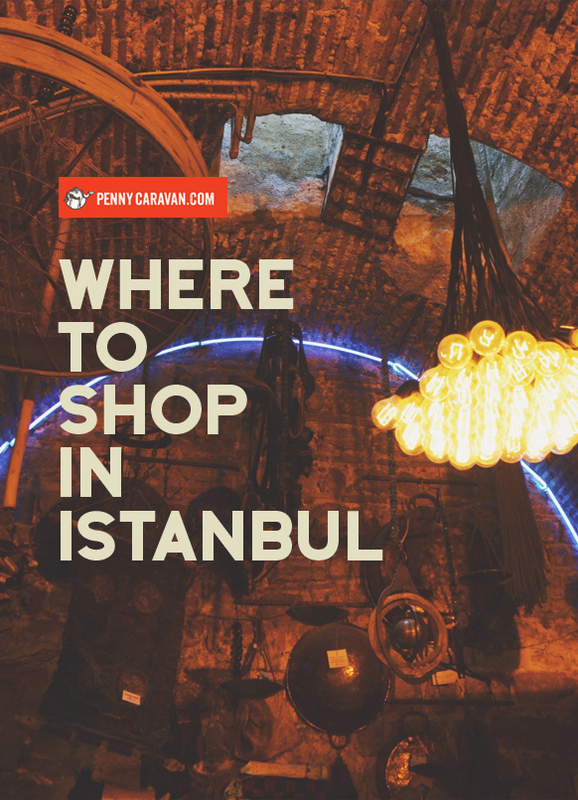 Whether you’re looking to take back hand-made local crafts as souvenirs, or need some serious retail therapy, you’re bound to find plenty of places to lose yourself shopping in Istanbul. Whether or not you actually plan on shopping at any of the bazaars in Istanbul, you should still put them on your to-do list, as they are interesting sites to see in and of themselves. 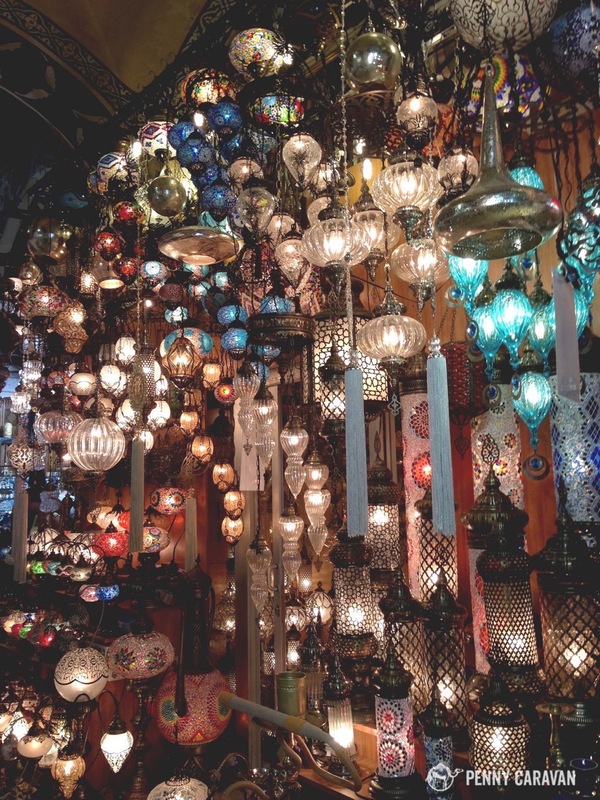 There are three main ones you should focus on: the Grand Bazaar, the Spice Bazaar, and the Arasta Bazaar. 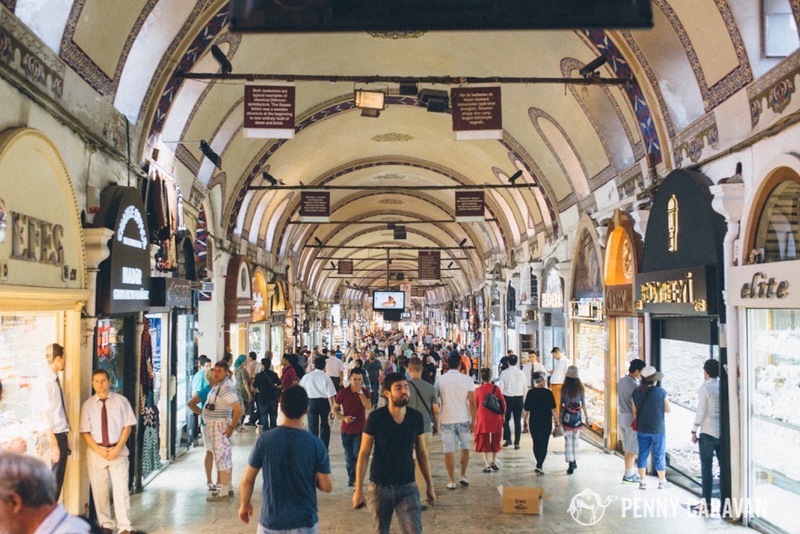 The Grand Bazaar (Kapalıçarşı) dates back to 1455 and contains more than 3,000 shops. This is a sprawling complex and very easy to get lost in. Print a map and orient yourself by noting which of the numbered gates you entered through and you’ll have a much easier time navigating the bazaar. 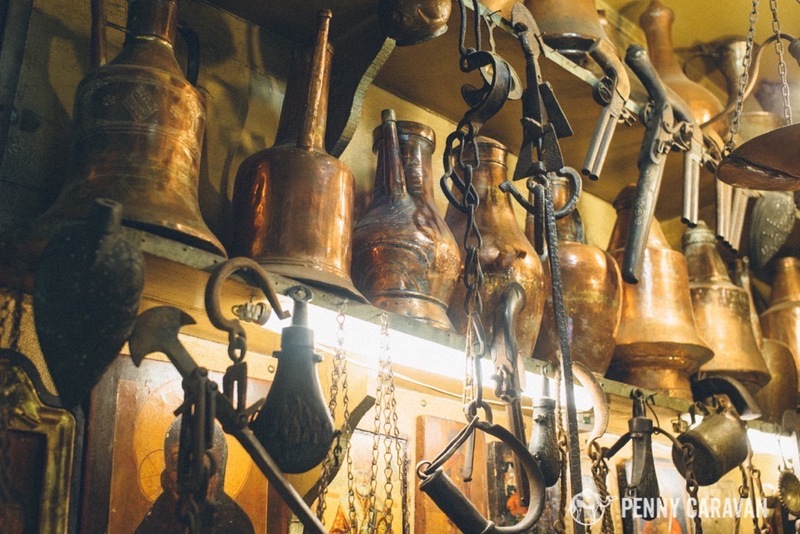 You’ll find pretty much everything here: rug merchants, Ottoman antiques, leather goods, lamps, jewelry, and brand names (or knockoffs, you never know). 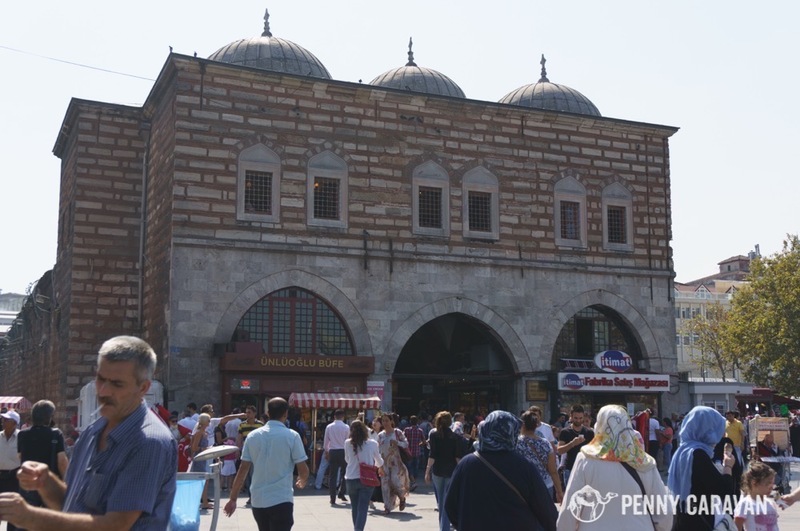 For quintessential Turkish souvenirs, this can be your one stop shopping destination. There are even several cafes and restaurants so you can take a break and recharge. The Grand Bazaar is in the Fatih district, just adjacent to the Sultanahmet area, and can be accessed by taking the tram line to the Kapalıçarşı stop (it will also be marked Grand Bazaar, in English). One of the main entrances to the grand bazaar. The brown signs hanging from the ceiling give interesting tidbits about the history of the Bazaar. 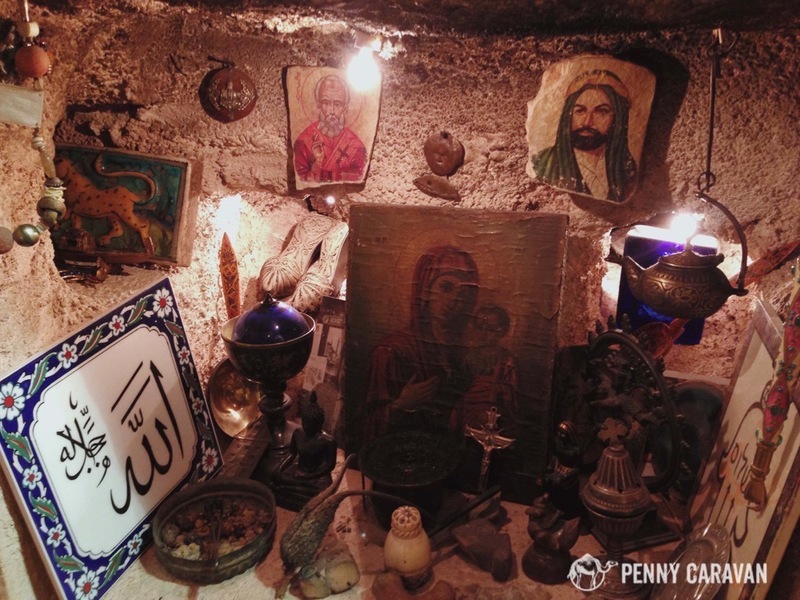 Antiques in the Grand Bazaar. Hamam shop in the Grand Bazaar. Lamp shop in the Grand Bazaar. The Spice Bazaar, also called the Egyptian Bazaar (Mısır Çarşısı), is accessible by taking the tram to the Eminönü stop. 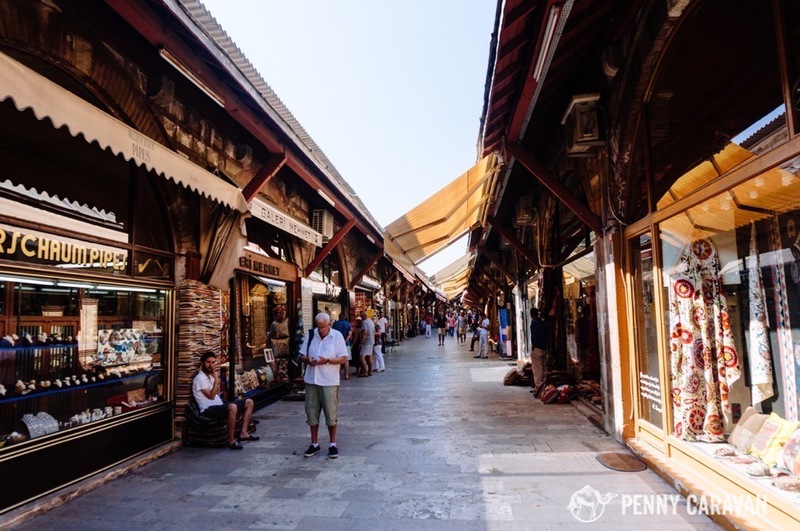 This bazaar is much smaller than the Grand Bazaar, and as its name would suggest, features primarily spice shops. This is a great place to peruse specialty tea blends and take home some unique Turkish spices for your kitchen. Definitely grab a box of lokum (Turkish Delight). It’s a quick walk between the Grand Bazaar and the Spice Bazaar via Uzun Çarşı Caddesi if you want to hit them both up on the same day. Exterior of the Spice Bazaar. This is the entrance that’s located right at Galata Bridge. Dried fruits and nuts in the Spice Bazaar. 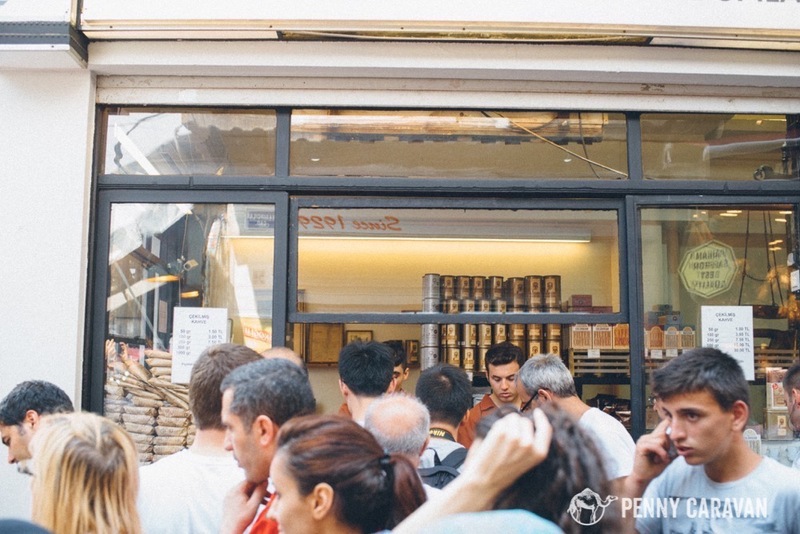 Coffee lovers, be sure to queue up for some fresh roasted coffee from the world famous Kurukahveci Mehmet Efendi just outside the Spice Bazaar. The smallest of the bazaars is the Arasta Bazaar. This is adjacent to the Sultanahmet Mosque, and the shops there actually support the mosque through their rents. You’ll find basically everything here that you would at the larger bazaars, but there are far less people crowding it. The tradeoff here is that there can be a bit of a premium since there is less competition. We found nice kilim pillow cases for $5 each, which was a great deal. At the edge of the bazaar is Meşale Cafe, a great spot for drinking tea and smoking nargile (hookah). Also look for the entrance to the Mosaic Museum, a collection of Roman era mosaics from the Great Palace that used to be in the area. Vendors in any of these bazaars are typically very friendly and will often invite you for tea. They can sometimes be aggressive, especially the rug merchants, but politely declining their sales pitches will typically cause them to back off. Most merchants will negotiate price, although some have flat pricing. If you do negotiate price, check a few merchants to get an idea of what the general going rate is for the item you are interested in. Typically you should expect to be able to negotiate about a 25% discount off what they first tell you. What should you add to your purchase list from the bazaars? Well, that depends on your tastes, but you’ll find many hamam shops selling Turkish bath goods, from towels and robes to soaps and salts. Iylana really enjoys the leather shoes she found in the Grand Bazaar. Boxes of Turkish delight from the Spice Bazaar make excellent gifts. We also brought home a beautiful hookah that was far cheaper than anything we would have found in the U.S.
Across the Golden Horn in the Beyoğlu neighborhood you’ll find Istiklal Caddesi, a pedestrian shopping path nearly a mile long (1.4 kilometers) and full of big international brand stores. The street runs all the way to the famed Taksim square, which is a popular park among the locals. 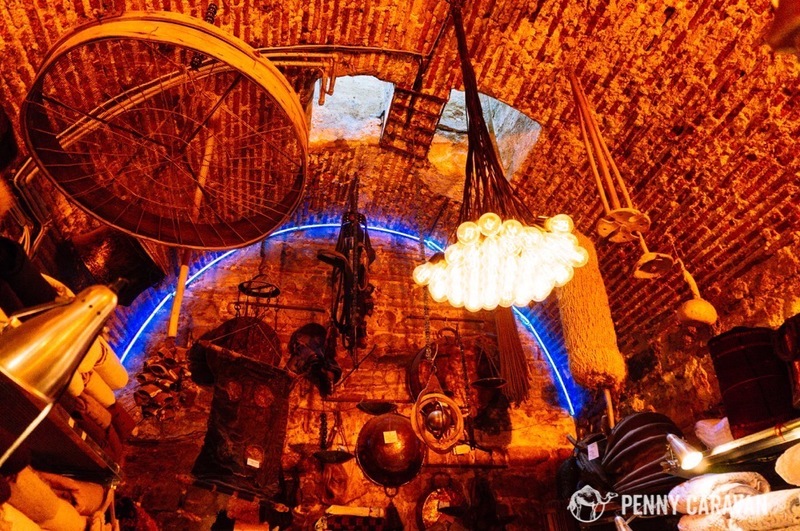 Take some time to explore the side streets to find a lot of cafe and restaurant options. We really recommend Babel for their mezze plates. More boutiques and designer stores can be found typically away from the city center in the newer and more upscale neighborhoods, so it may take some more planning if you feel like indulging in designer goods. Nişantaşı is a district not far from Taksim with several upscale shopping options. 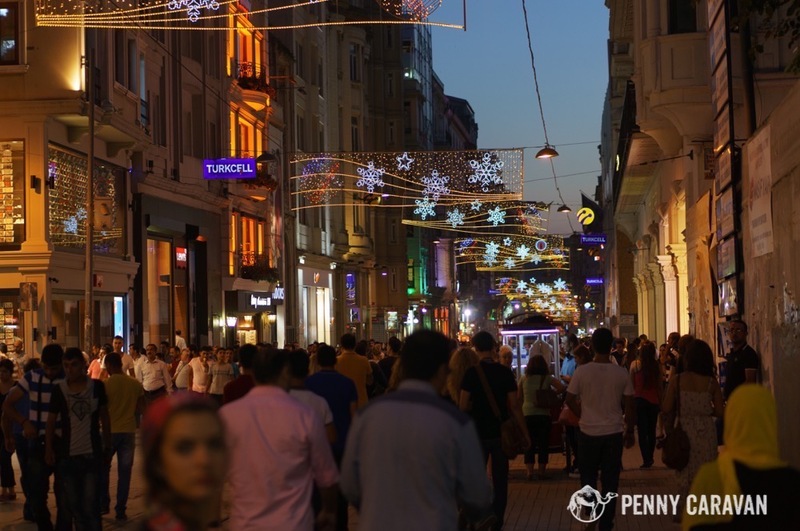 On the Asian side, Bağdat Caddesi is an acclaimed shopping destination with a plethora of stores as well as cafes and restaurants to make for a full day. Whether it’s folksy crafts or the latest haute couture, Istanbul’s way of blending the old with the new, and east with west truly makes it a shopper’s paradise.